He was undermining the president’s agenda. Secretary of Defense James Mattis is leaving. As with every one of these outgoing Trump appointees, the “mainstream” media has gone into a full meltdown upon their announced departure (despite, in most cases, that same media having lambasted those appointees for having taken the job in the first place). And, there can be no doubt that the loss of James Mattis at the Pentagon will see the loss of a truly steady and seasoned military hand at a critical juncture. Mattis has served his country with distinction. I know several Marines who served with Mattis throughout his career — notably in the bloody days of Fallujah — who would go marching headlong into battle with him as their leader yet again. We should applaud him and honor his service to the country. But is this loss the thing that will end America? Very often, the media and their allies in elite political circles create theories of the “indispensable man.” Certainly, such men have existed (in fact, I believe Trump just might be one of those great captains of history). More often than not, though, the person that the media extolls as being “indispensable” ends up being quite, well, dispensable. U.S. Army General Douglas MacArthur also was relieved of his command during the Korean War, despite having delivered a stunning set of victories against the North Korean military. When China entered into the conflict on North Korea’s side and pushed MacArthur’s army back from North Korea and almost off the Korean Peninsula entirely, MacArthur wanted permission to use atomic weapons against China. He then began inserting himself in the political process at home by openly challenging President Harry S. Truman and by siding with Truman’s Republican opponents. Regardless of his popularity and tactical brilliance, this indispensable man was removed from his post by a less popular American president and the world kept on spinning (much to MacArthur’s chagrin). Similar arguments were made about U.S. Army General Stanley McChrystal in Afghanistan and about former General David Petraeus, when he was pushed out of the CIA for his illicit affair with his biographer, Paula Broadwell. In each case, America’s institutions, its republican system of governance, proved more durable than the media countenanced. And, in each case, the military men overstepped their bounds and started trying to dictate policy. The cranks at MSNBC lamented the loss of America’s “Secretary of Reassurance.” Yet, that’s not what Mattis was paid to do. James Mattis was hired by the duly elected president of the United States to implement a set of policies that President Trump had campaigned on. Unfortunately, like the other indispensable men listed above, Mattis clearly had his own policy goals that he wished to implement — even if they did not align with the president’s. And Mattis was doing more than “reassuring” world leaders or domestic opponents of the president (an act, which, in itself is somewhat insubordinate). Mattis was slow-walking essential parts of the president’s agenda. On the matter of the much-needed space force, Mattis undercut his commander-in-chief by submitting a letter to Congress in the summer of 2017 saying that he, as secretary of defense, did not support the creation of another branch of the military (thereby supporting the Air Force’s preference to maintain a grip on military space operations while never fully supporting the vital mission of space dominance). It was not until recent weeks that a major military space policy announcement was made… and it was hardly in keeping with the president’s desire to see a “separate and equal” space force. Mattis begrudgingly followed through on Trump’s orders to deploy U.S. military personnel to the border, while he insisted that the military would not partake in actual border enforcement. It is likely that a pending presidential order commanding the Pentagon to fund the creation of a border wall helped to precipitate Mattis’ departure from the Department of Defense as well. Then, of course, Mattis consistently clashed with Trump over his views on making traditional American allies actually pay for the defense we are providing them. He also disagreed with the president on Trump’s desire to withdraw American troops from the quagmire that is Afghanistan and from the potential quagmire of Syria. Come to think of it, from the outset of the Trump Administration, Mattis displayed a discomfort with the president. When he first became secretary of defense, reports circulated that he was attempting to fill his Pentagon staff with virulent “Never Trumpers” from both the Bush wing of the Republican Party and the Obama and Clinton wings of the Democratic Party. It was likely Mattis’s inability to fully gel with the president’s agenda as well as with personality differences (Trump is a notorious showman and Mattis is considered to be a “warrior monk” who eschews the limelight) that led to his sudden departure (although, Mattis’ departure had been speculated for several months preceding the official announcement). Still, as Victor Davis Hanson points out, Mattis did shepherd many vital reforms to the military that every American should be thankful for. Yet, this is not enough. The American people elected Donald Trump and his agenda. They did not elect James Mattis. While we should praise Mattis for his dedication to the country, we should also be thankful that he is not as indispensable as the media believes. 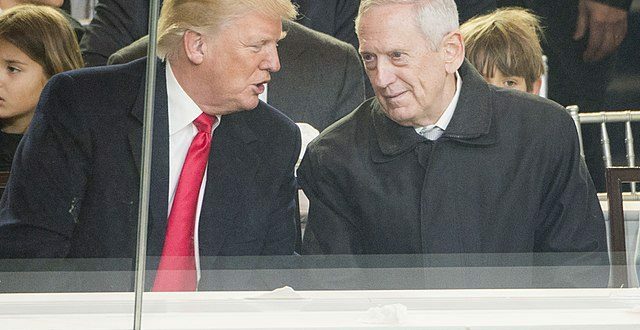 Like so many, I was rooting for the Trump-Mattis partnership to work out. It did not. Much as Mattis’s outlook will be missed — and he should be treated with respect — a president deserves a secretary of defense who actually believes in his agenda, not someone who will resist it. Previous Afghanistan: What’s In A Victory?